Slot car racing is a great sport for all ages from around 8 years old and up with many different levels of competition from novice through to National and International racing. Club race classes are raced in specific classes and for those starting out there are a range of “loaner” cars available. The members of the club are experienced racers, some with national and international experience and are happy to give technical advice and help. Cars and parts are also available for sale. Our mission is to promote this great sport to all ages! Click Here to see an interesting video on what slot racing does! A 6 lane track with 4 1/4” lane spacing of MDF construction with 2 pack polyurathne surface. 38 amp braiding with 0.3mm recess. Full 6 mm Sq Power taps on + & - at half distance. Rostrum Plugs;- Standard BSCRA 3 pin and also Euro colour coded 4mm sockets and ISRA C14 Panel sockets. Lanes are numbered 1 - 6 . Lap Master race control with projector and wide screen displays. Power;- 20 amps per lane @13.8V. For your safety and security the venue is protected by 24 hour CCTV. Raceway 81 at Barley Mow Village Hall is the new home of the Newcastle Slot Car Racing Club, originally formed in 1990 and located in a cellar at Longbenton High School, Newcastle upon Tyne and then at an industrial estate in Birtley our new venue offer great facilities in partnership with the Barley Mow Village hall charity. The construction of this new facility was undertaken by the members of the club. 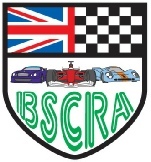 Newcastle Slot Car Racing Club is a not for profit organisation and is affiliated to the British Slot Car Racing Association and the Royal Automobile Club Motor Sports Association. 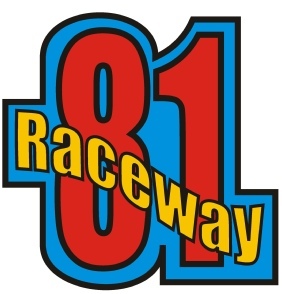 Raceway 81 is open 2 evenings a week for club night racing and is also available for private events such as Kids and Adult race parties and private promotional events. We also host National race meetings . In time we also hope to run a Saturday Junior club. We have a range of “loaner” cars for novice racers and more mature racers and welcome visitors to watch and also compete. Over the years at our previous venues we have developed a number of National Junior and Adult race champions and we are happy to help and teach anyone wishing to become involved in the sport. In short, we are here for anyone who wants to have fun and enjoy a competitive, safe and fun sport for all ages! If you love fun, can see over the track and squeeze a controller, this could just be a sport for you!